David Parry is the new Sales Manager for the North of the UK, bringing his 35 years of experience within the plastics sector to the table. Starting his career as a time-served toolmaker, he rose to the position of Technical Manager at RPC. This role involved key account management for a range of blue-chip customers, with involvement in all technical aspects of each project. This ranged from tooling design to the specification of fast cycling injection moulding machines (including Netstal machines) and associated IML automation equipment. 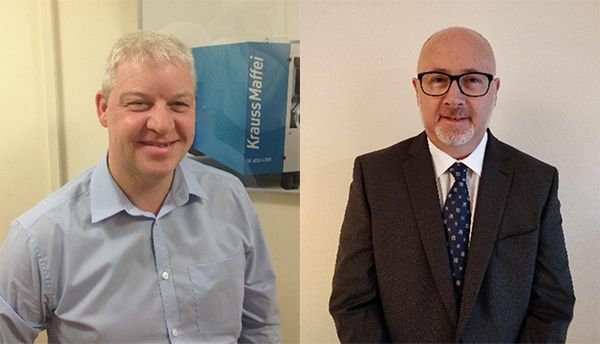 Simon Hirst is based in the South and also brings a great depth of knowledge to KraussMaffei, having spent 27 years working with plastics. Earlier positions include Manufacturing Manager at a leading Tier One automotive supplier, culminating with over a decade working at Daniels Healthcare as their Operations Manager. Simon’s experience in product manufacturing, project management, procurement and engineering provides him with real insight into the requirements of KraussMaffei’s current and future customers.